Years ago, I was part of a thriving, lively church, with a lovely pastor, who had an affair. I arrived at church one Sunday morning, all expectant for a great service, but there was an unexpected somber tone to the meeting. At the end, it was announced that one of the pastors had admitted to a ‘moral failure’ and as a result, was stepping down. There was a palpable sense of shock in the room, as hearts sank and voices murmured. It wasn’t judgement, just surprise, hurt and most of all, disappointment. Fast forward a few years later, I was part of a thriving, lively church, with a lovely pastor…who had an affair. With an eerie sense of Déjà vu, I arrived at church one Sunday morning, all expectant for a great service, but there was an unexpected somber tone to the meeting. As the church leaders filed out from the vestry, a strange hush fell. Something was wrong. The lead pastor was missing. Where was he? Turns out, he’d admitted to an extra marital relationship. He’d stepped down and only time would tell what the future held. Once again, I’ll never forget the sense of grief and sadness in the room, not just sadness for us as a church, but grief for a struggling marriage, for a wife who had been betrayed, for all the relationships which had been damaged by a series of lies and poor decisions. The shock, the questions and the fallout from all of these incidents was immense. And since then, there have been many, many more. You’ll have read about the more public scandals, or you might have experienced the heartache of ‘moral failure’ in your own church and felt how it gnaws at the fabric of your community. But the truth is, I suspect no one ever deliberately sets out to fall, to destroy their relationships and their church’s trust. It begins with a series of tiny steps, all in the wrong direction. It begins when we start to believe the great things other people say about us. It begins when we think rules and boundaries don’t apply to us, that we can skip around the edges of the pool without falling in the deep end. It begins when our posts on social media subtly become more about what we’re doing, than about what God is doing (an easy trap!). It begins when we make ourselves the hero of the story. And it’s been the same story for generations. Adam and Eve turned their ear to a sneaky little whisper and began to question all they knew to be true. King David strolled along a rooftop and made a split second decision to take a second look at a bathing woman. Jonah, Abraham….the list goes on, great men and women of God who momentarily leaned into lies, impulses and took tiny steps into a future which had disaster spray painted all over it. Last year, US author Phil Cooke blogged about the simple ways ‘moral failure’ can begin and how leaders can help themselves. 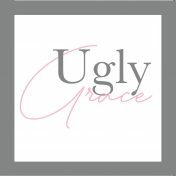 Falling from grace begins with the small stuff. But it can also be stopped in its tracks by the small stuff too. Being ruthlessly committed to the small stuff, can change everything. It’s the seemingly unimportant boundaries, the refusal to toot our own horn on twitter, running fast from heroic or celebrity labels, or anything which might make our hearts believe that WE are the heroes of the story. If Adam and Eve had walked away, if King David had strolled in the opposite direction, if Abraham hadn’t taken matters into his own hands, how different their stories would have been. God, because he’s God worked a miracle in all their lives, despite the lies and betrayal, but generations later, we still experience the fallout from their poor decisions. Let’s not get seduced by the lies and the celebrity insanity of the world around us. We are not the heroes of this story. Thank you Paula for a timely reminder——- and warning! So well put!